The Biansi Elife brings a revolutionary new design to tank type atomizers. 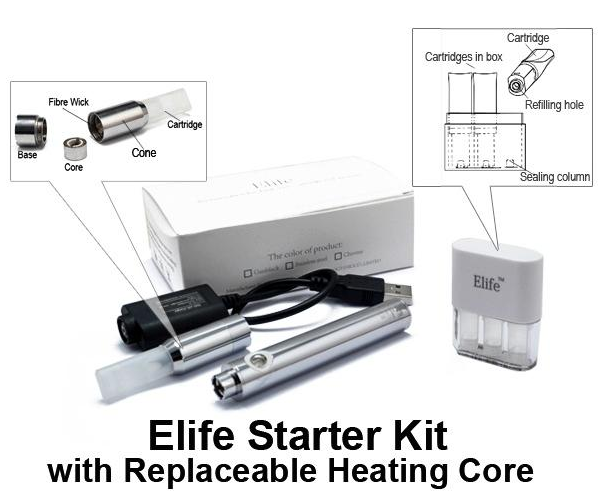 Based on the original Imist design, the Elife is the first of its kind where the atomizer coil assembly can be removed, cleaned and/or replaced as an isolated unit. You no longer need to stock up on spare replacement atomizers. 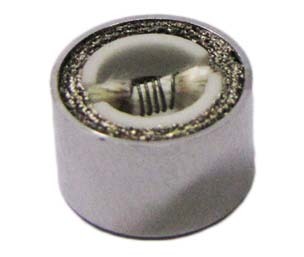 The low resistance on the atomizer coil (2.0 Ohms) produces a warmer vapor and great throat hit. 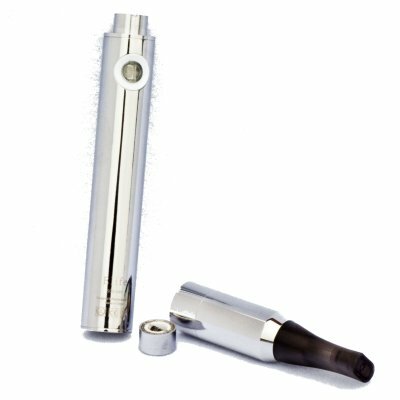 The 900mAh battery in this kit will provide approximately 7+ hours of usage between charges, depending on how much you vape. 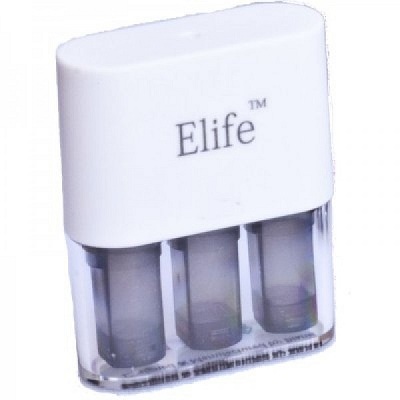 The BIANSI Elife battery is not compatible with Imist or Imist 2 Atomizer devices without using an adapter. When residue build-up becomes visibly noticeable on the heating coils, there is a noticeable difference in taste or the vapor production weakens, it is time to clean the atomizer coil. This will usually be every 2-3 days depending on the thickness of the vapor liquid being used. Clean the atomizer coil with USP grade isopropyl alcohol. If you notice residue on the heating coils, use a toothpick, tweezers or soft bristle tooth brush to remove it. 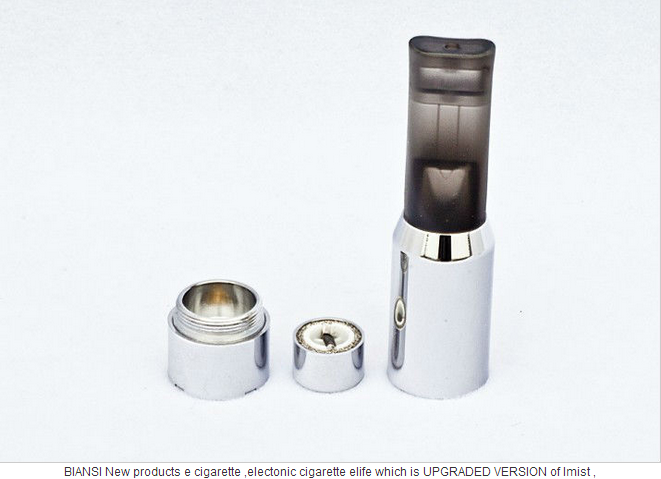 NOTE: Do not damage or deform the coils of the atomizer core. 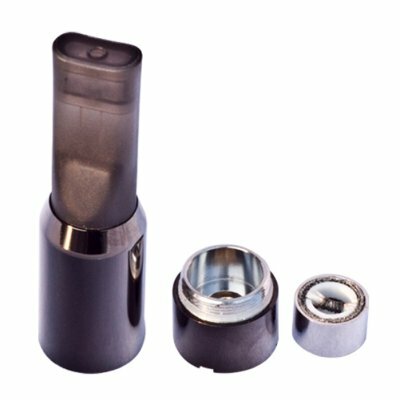 Damaging or deforming the coil may cause a break or short which would permanently damage your atomizer core as well as possibly damage the battery. How to change the Biansi Elife Wick. Using some tweezers, grab the fiber lines all together and pull out the wick. Now grab the new wick by the fibers, and push into the atomizer wick hole. If you can pull out the wick fibers after placement, you have not put it in properly. You can regularly clean your wick with warm water. When you notice it does not come clean, that is when you can replace it.